USE Designed for indoor wiring applications, connecting handheld equipments such as power drills, hand grinders etc where cables are subjected to stress by kinking and twisting. MANUFACTURED TO BS 6004, BS 6500, IEC 60227, BS 7919. 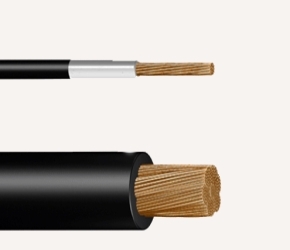 RANGE Class 5 Copper conductor, PVC insulation, sheathed/unsheathed from 0.5mm² to 240mm².